A stay at the Sandpearl Beach Resort is nothing like you have ever experienced. The warmth, professionalism, and attentive service make up the right mix for a vacation destination. 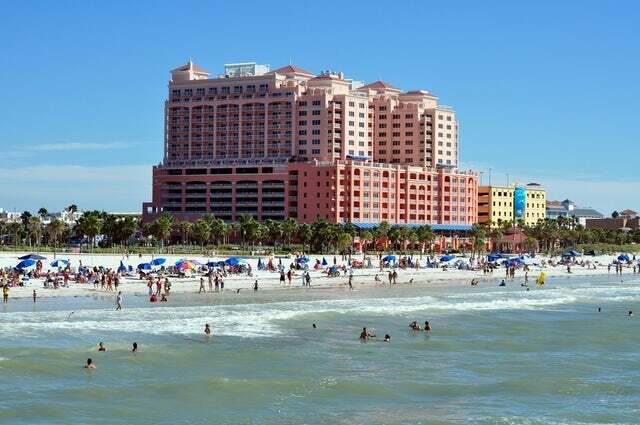 Florida's casual elegance is well represented by the award winning Sand Pearl Resort at Clearwater Beach. It is an exclusive, remote getaway destination that takes your holiday experience to the next level. It boasts luxurious, tastefully furnished and decorated accommodations and the only 4-Diamond restaurant in the Clearwater Beach. The fact that it is just a few minutes from most of Clearwater’s attractions makes it even more alluring. A stay at the Sandpearl Beach Resort is nothing like you have ever experienced. The warmth, professionalism, and attentive service make up the right mix for a vacation destination. From the tropical cocktails to swimming in the private poolside to get pampered in the spa to kayaking in the Florida estuaries; the resort makes it its agenda to help you relax and unwind. Whether you are looking for an ideal destination for family vacation, a venue to host a corporate event or just a place to hold special events such as anniversaries and weddings, you have just met a partner that is equal to the task in Sandpearl Resort. The selling point in this resort is perhaps found in its high dining package. It boasts 2 Triple 'A' rated Diamond restaurants - the Tate Island Grill and Caretta on the Gulf. Apart from dining in the restaurants, you have the option of a 24-hour room service or private dining that can cater for up to 35 guests during private events. You will get served with wines such as Cain V, Napa, Valley and Robert Sinskey Pinot Noir, Los Carneros from Tate Grill Island Restaurant and classy dishes such as prime-cut steaks and freshly-caught seafood from Caretta. Among the activities that you can engage in at the Resorts include Shopping, sail using the resort's Boat Slips, have your kids enjoy camping at Camp Ridley, enjoy exotic massage at the Sandpearl Spa, and learn how to navigate a kayak, a paddleboard or a jet ski on the beach. Trust me; the fun you will experience here is peerless. You will be your kid's 'darling' for the months to come and you may yet get that - sleazy...or is it romantic - kiss from your spouse. Bottomline? Contact us today and we will get you packing to your best holiday yet.